Now that it's almost the end of 2013, I thought it might be good to do a recap of some of the most popular posts from the year. Some of the results are expected, some were unexpected, meaning that when I wrote them, I didn't think too much about it - it was just a post I threw together that surprisingly did well among my readers. Alright, without further ado, let's do a quick recap of what you guys read in 2013! Clocking in as the 10th most popular post of the year is my review on Hada Labo's ES Sensitive Skin Range. It's a surprise entry because 1) I didn't realize Hada Labo was THAT popular, although I should've guessed, and 2) I mean, sensitive skin skincare sounds so boring. But it was popular, so I'm guessing all the grunt work going into researching the ingredients was all worth it! 9. Laura Mercier Spring Look: I Had a Makeover! Although I'm a beauty blogger, makeovers are still relatively rare things for me, so I didn't quite know what to expect when I posted this. I was probably just thinking of how convenient it was that the photos in my phone were sufficient to make up one blogpost - yay, instant blogpost without much effort! But on hindsight, I think part of the reason why this post was so popular was because a large part of the makeover involved Benjamin Ruiz (the awesome Laura Mercier makeup artist) covering up my huge, huge, pimply boils (don't just take my word for it - you'll want to go to the site to see how horrendous my pimples are), and I guess people wanted to see how the pimples were covered up. This post was also notable to me, because it brought me my first troll comment of the year, which fortunately you won't see on the blogpost because I didn't approve it. I do approve comments that respectfully disagree or that express contrary opinions, but I don't allow spam comments, and comments that are nothing but trolling (usually of the overused "You're so ugly, I hate you" variety). Fortunately I rarely get troll comments because most of my readers are awesome people! Another surprise was my review on the Hada Labo Arbutin Whitening Lotion, for exactly the same reasons as the previous Hada Labo post, except that "sensitive skin skincare" should be replaced with "whitening products". I guess more people are interested in the science behind skincare than I realized! I'm not too surprised that my Sleek Makeup eyeshadow palette posts are in the top 10 - Sleek has been on quite the roll the past few years, and in general people seem to be a fan of their palettes. And my post has swatches! Well, they are cheap, cheery, and of pretty good quality, so what's not to like? Over the years that I've been a makeup fanatic, I've amassed a small collection of Sleek palettes myself. This is another surprise, and this is what I talk about when I say sometimes, you just can't predict how popular a post will be. For one, Bio-essence isn't a particularly global brand, unlike say, MAC or something. It's found mostly in Southeast Asia, so even the number of people who know about the brand is going to be limited. But I suppose facial sprays are popular items (Evian and Avene have their versions, too), so a lot of people seem to find this post by way of googling for facial sprays. Also, the post has had the benefit of a headstart, seeing that it was written early in January. And lastly (and hopefully not least), I guess people do appreciate the honesty of my review! Although this was a press sample I wasn't exactly raving about how good it was, so it's nice to know that readers can sense a post's honesty, too. Ooh, this is such a pretty post because of the photos! I like this! It's not too difficult to see why this is in the top 10 - the Etude House Rose Collection seemed to be pretty popular (judging by the number of google hits I had for it). I think the combination of lovely girly packaging, as well as awesome product quality (the lip stains were pretty good) was really a winner for Etude House. If they keep making more products like this, I'm going to start looking at the brand way more than I currently do! Another Sleek palette post in the top 10. I guess this one has more views because of the more neutral mix of eyeshadow colours in the palette. It's strange, but even with a brand that's known for wild and crazy colours like Sleek, the more popular posts always seem to be the eyeshadow palettes with neutral shades. I guess you can never go wrong with neutrals! 3. DIY Chalkboard Manicure Tutorial: Cheap, Easy and in 3 Steps! Ooh, finally, a nail post! I write a lot about skincare and makeup, but I'm actually a huge, huge nail polish fanatic, too! I just don't blog about it as much as I like because my darn nails keep breaking off before reaching desired length (sigh). And my bottle of nail glue dried up the other day so I've not been able to use my super-nifty tea bag trick to repair my nails. But, yes, this was pretty popular - I'm guessing that consumers didn't want to pay inflated prices for something they could DIY at home! I'm not surprised this was one of the more popular posts of 2013. My post on BB and CC creams ingredients and their marketing hype generated some activity, and it's one of the posts I'm still getting comments and emails and questions about. So of course when I subject a BB cream from a brand more well known for skincare than makeup to my grilling, I guess people are interested in reading about it. Also, I think Kiehl's is just plain ol' popular (either that, or really, people like reading skincare posts on my blog more than I realize they do). 1. Collagen Skincare and Supplements: Do They Work? This was the most popular post of 2013 by far. Of course, it was also written in January, so it's had a whole year's worth of headstart over, say, my post on whether charcoal in skincare really works, but I'm surprised by how I'm still receiving views and questions via emails and comments about the post. I take this as an indication that firstly, the "OMG BY THIS PRODUCT IT HAS COLLAGEN!" thing is still making its way round the marketing cycles (sigh), and secondly, that consumers do indeed want to know if they work. This post also prompted a number of interesting interactions with people and companies that sell collagen products: I had more than one company sending me an email referring back to this post, before claiming that theirs is that one collagen product that really works, and they have the studies or what-not to back it up. I've looked at some of the studies, and for the most part it isn't quite conclusive as they would have you believe - for example, when I looked at one study that was sent to me to support the claim that a certain collagen product works, it turns out the study showed an increase in collagen production but only in vitro, i.e. in a petri dish or test tube, not in the human body. It's a big, big leap from petri dish to human body, and quite often something may work out well in the lab but not in real life. As Ben Goldacre, a trained doctor and author of one of my favourite books, "Bad Science", writes in his book, "[You] have to be very cautious about how you extrapolate from what happens to some cells in a dish, on a laboratory bench, to the complex system of a living human being, where things can work in completely the opposite way to what laboratory work would suggest. Anything can kill cells in a test tube. Fairy Liquid will kill cells in a test tube, but you don’t take it to cure cancer" (Bad Science, Chapter 6). As far as I can tell, the science is clear on this one, but you can't really persuade people whose jobs are to sell a product, can you? And now for some honourable mentions! I've arbitrarily picked three, because it seemed like a nice number. These are in no particular order, but they are "honourable mentions" for the reasons that I'll go into for each post. 1. BB/CC Creams Hype vs Ingredients: Do They Actually Work? This is an honourable mention although it isn't even a 2013 post. It was written at the end of 2012, and over the year or so it has been up, garnered quite a few views. This is also another of those posts that I'm still answering questions on via email and such, so definitely an honourable mention is in order although it fell just outside of the 2013 window! Benefit boxed powders seem to be pretty popular, and for good reason, too. They're pretty, have really nice universal colours, and even smell nice! I've never met a Benefit blush I didn't like, and I guess my readers concur with me, too! Although this post was written in November, it seems like people have been curious to get the scoop on Benefit's products! Another skincare post. I enjoy writing on skincare (although it takes me longer if I have to do some research), so I'm glad you guys like to read them too! 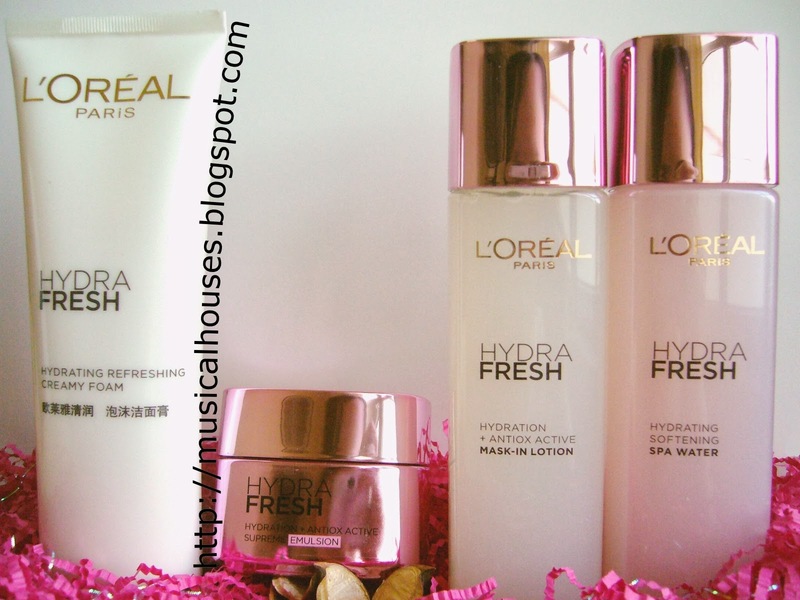 This was another notable post, because if I'm not wrong L'Oreal seemed to launch this only in Asia, and not in the West. 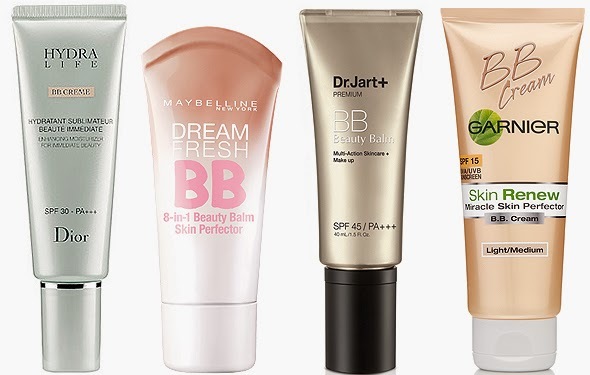 I guess increasingly, rather than the West exporting its beauty trends to Asia, Asia is starting to export its very own beauty and skincare trends (see my links to my BB cream post, above)! It is indeed a good time to be a beauty junkie, just because we both have access to so many foreign brands from the other side of the pond (albeit at sometimes pretty inflated prices). Although I've never made a Top 10 posts list before, I'm pretty glad that I did, because it seems to reinforce my belief that there isn't any one set way of blogging. From time to time, I get emails from bloggers who are just starting out, asking for advice, and the one piece of advice that I always give them is to write whatever you're interested in - after all, that's why you start a blog right? From the emails I sometimes get, I feel like some bloggers may feel pressured to write about specific brands or topics (e.g. Your blog will be more popular if you write more about XYZ brand, or if you have more ABC type of posts), but looking at my blog, I don't think that's the case at all! My top posts are not what I'd call "sterotypical beauty blogger posts" - I mean, they're not really makeup tutorials or flashy makeup looks, but in most cases are my own geeky analysis into products I experiment with. And that sounds boring, but it seems like there are people out there who are interested in reading my geekery, too! (Thanks, guys!) So I guess what I recently emailed to a fellow advice-seeking beauty blogger is indeed true, and I'll just repeat it here because it's difficult to paraphrase my own words: "Because the Internet is so big, there's always an audience for your brand of you. Like mad glitter and crazy nail art? There's an audience for that. Like skincare and have tried every brand out there? There are people who want to read it. Hell-bent on finding the right mascara? There's an audience for that. So write what you're interested in, in a manner that comes naturally, and don't worry about the rest." I've always firmly believed that, as the saying goes, "content is king", and I do feel readers really appreciate that as well. So I guess as the new year rolls in, I should be thankful not just for the hits or the press samples or even the fun, but the fact that I have readers who get my blogging quirks and embrace the content on my blog, because at the end of the day, that's really why we blog - just to interact with other like-minded people out there. So here's wishing all of you a great year ahead! Although I don't subscribe to your blog in any of the ways listed above (e.g. google, pinterest etc because there are just too many and they keep changing I can't be bothered), I just want you to know that I bookmark your blog on my browser and check back on it from time to time. I'm glad to see so many skincare posts in the top. You're really good at ingredient geeking, it's what made me stay on your blog in the first place, a long time ago, and they're more useful than swatch posts in my opinion. I can never know if a shade will work on me or not just from seeing a picture of it on someone else's arm. So yes, I prefer the geeky posts because I find knowledge about ingredients is pretty useful. And you explain the sciency stuff so well for the people like me who are better at words than at science. Anyone can google a list of ingredients, I've done it, but I can't say I understood all of what I found lol. So thank you for these, keep the good work up. I do apologize for not commenting even though I have been a long time reader. I blog, myself, and I know how excited a comment can make one feel (because I don't get many at all lol) so I do feel bad for being a ghost reader on 99% of the blogs I read. I think in all the time I've read you I've written maybe 3 comments. Bad reader. I could make it a new year's resolution, comment more. This has little to do with you/your blog, I got carried away writing lol sorry. What a great little summary! I hope that 2014 brings you many more readers (you've got at least this guy)! Hi can you please do a review (ingredient analysis) on Annie's way Arbutin mask? The brand is from Taiwan and is popular, especially the mask range. Also, I've used Garnier micellar water. It is great. I would love if you can do a comparison with the Bioderma! Bioderma in Australia is way more expensive than the Garnier one. By the way, I just found your blog and immediately interested in your contents! I love your detailed review (evidence-based) on product's claims and its actual ingredients! !